How Much to Charge for Shipping? As a leading order fulfillment company, we’re often asked by online sellers how much they should charge for shipping and handling. The short answer….it depends….on a variety of factors. And while it’s a complex question, it’s certainly good one, especially given that shipping costs can play a key role when it comes to online sales and shopping cart abandonment. So, why don’t we start off with an easier topic….. Occasionally online sellers want to charge their customers the same exact amount for shipping and handling as they pay. This is often difficult to do. While shipping carriers like FedEx and UPS have APIs that connect with shopping carts to show buyers the shipping cost based on their particular order and ship destination, those APIs don’t always pick up each of the surcharges that may apply, such as delivery area surcharges. Additionally, if sellers outsource their order fulfillment or have a negotiated discounts, the API shipping rates may not line up with what those sellers are paying. Lastly, when you try to charge your customers exactly what you pay for shipping, that means your customers won’t know their shipping costs until the last stage of checkout, and that can lead to cart abandonment. As an online seller, don’t feel like you have to charge the same amount for shipping as you pay. It’s much more important to simply ensure you’re earning a net profit after all revenue and expenses are considered. It’s also generally not a good idea to make shipping and handling a profit center for your online business, as that will likely hurt your sales in the long run. There are a number of ways that you can charge for shipping to ensure you don’t lose money, and at the same time, better market your total offer to your customers. Let’s discuss some of the factors to consider to help you determine how much to charge for shipping and handling. The first thing to consider is your product line. Do you sell cheap items or expensive items? Heavy or lightweight items? What’s your average order value? What’s the margin on your average order value? How much, on average, do you pay for shipping? Answers to these questions will help you determine how best to charge your customers for shipping. Here are a few examples. Let’s say you sell t-shirts and your average margin is $5/order. If that’s the case, free shipping likely isn’t doable. In this case, however, your average order weight is just 11 ounces and shipping, on average, costs you about $4 per order. So in this example, offering a flat rate shipping option may be ideal. Now let’s say you sell high end jewelry with an average order margin of $200. In this case, losing some of that margin in order to offer free shipping is not only doable, it will likely be expected by your customers given the high cost of your products. In both the case of free shipping and flat rate shipping, a significant benefit is that it allows you to market those offers in your advertising and up front on your website, ensuring there are no surprises for your customers during the checkout process. Where are your customers located? In the U.S., international, or both? Are they in rural areas that often trigger delivery areas surcharges? Are they price sensitive? And what is the average lifetime value of a customer? Your customers, their location and their buying habits also need to be taken into consideration as you determine how to charge for shipping. Let’s quickly look at a couple of other examples. Let’s say, for instance, that your order fulfillment center is in the U.S. Let’s also say that 80% of your customer base is located in the contiguous U.S. and the remaining 20% is scattered throughout the world. In this case, your free or flat rate shipping offer may only be feasible for those in the contiguous U.S., with an added fee for customers in Alaska, Hawaii or abroad. Regardless of what major online retailers charge for shipping, it is not uncommon for them to charge more for customers outside of the contiguous U.S.
As another example, let’s say you sell women’s footwear. And while your average order value is $80, the average lifetime value of a customer is over $400. Repeat purchases should be factored into your equation when determining how you will charge for shipping. Zappos was the first to offer free shipping and free returns with no minimums. And you can bet that lifetime customer value (and the potential to increase that lifetime value) was a major consideration with this offer, which was unprecedented at the time. Are you in a hyper-competitive industry? Or do you sell items that have virtually no competition? The competitiveness of your niche needs to also be a factor. If, for example, you sell handmade items that people can’t find anywhere else, how you charge for shipping may be of less importance to your sales than if you were selling digital cameras that people can find in 100 different online stores. Make sure to constantly monitor your competition, their product price, and their shipping offers. This one can be tough to pull off, especially if you have a diverse catalog of products and you’re truly offering free shipping, meaning that you’re not making up for it somewhere else. Free shipping tends to apply only to standard ground delivery methods, or perhaps even a cheaper shipping method, such as FedEx SmartPost or UPS SurePost. It’s also a good idea to offer customers faster ship methods, but for those they have to pay for. There are a couple of major considerations with a free shipping offer. One is your competition. If your competitors are offering free shipping, you better find a way to at least test a free shipping offer in order to determine the sales impact. While your products may be cheaper, free shipping, to some extent, is a psychological thing, meaning consumers have it in their mind they don’t want to pay for shipping, and their comparison shopping won’t go as far as comparing total costs. As you consider free shipping, lifetime customer value is also important to factor in. You may eat some cost with the initial purchase, but the important thing is you got that initial purchase….now you can make up for it down the road. For retailers with a wide selection of products, this option can still allow you to market a free shipping offer while helping to ensure you don’t go broke. All online sellers should have a shipping policy page that outlines the details of their shipping offers. In this case, sellers would be able to market free shipping on their homepage with a link to learn more about the offer. When it comes to free shipping on certain items, the most user-friendly option I’ve seen is when retailers have a special icon next to products that qualify for free shipping. Free shipping that corresponds with a minimum order value is fairly common. For instance, if your customers spend at least $50, they get free shipping. What’s nice about this offer is that it encourages larger orders. Let’s say, for example, that your average order value is currently $40. In this case, you may test a free shipping offer with a $50 minimum purchase, and see how it affects your order value. Why not reward your most loyal customers? Member/loyalty programs are becoming increasingly popular among retailers. The most widely-known is Amazon’s Prime program, in which consumers pay an annual fee in exchange for free two-day shipping and a few other perks. By marketing it this way, you’re not only able to present the offer up front before the purchase (so as to give prospective customers something to think about for the future), you’re also able to ensure people don’t just sign up for the free shipping for that initial purchase (so as to truly reward your repeat customers). Flat rate shipping is one of my personal favorites for a couple reason. First, it’s ridiculously easy to understand from a consumer standpoint, which always helps. Second, just like with free shipping, you’re able to market the price of shipping up front on your website, as opposed to customers not knowing what they’re paying until the final step of a potentially long and gruelling checkout process, which often leads to shopping cart abandonment. For some online sellers, flat rate shipping doesn’t work all that well, particularly if they have a large assortment of products and a wide range of order weights, values and shipping costs. Some sellers have tried free or flat rate shipping by order weight, but not only does that add complexity from a technology standpoint, it takes away from one of the best parts of flat rate shipping, which is the simplicity. One alternative option, which is somewhat of a hybrid approach, is to have fixed shipping rates based on tiers, such as $10 shipping for 1-3 items, and $15 shipping for over 3 items. With flat rate shipping, it’s all about averaging your costs…sometimes you come out ahead, sometimes you come out behind, but in the end, it should even out. And, just like with free shipping offers that come with a minimum, an added benefit of flat rate shipping is that it can encourage larger orders and discourage the itty bitty ones. After analyzing your margins, shipping expenses and competition, you may find that either free or flat rate shipping just doesn’t work, or it’s not necessary. In either case, you can simply decide to calculate shipping costs on a per order basis, as many eCommerce retailers do. As mentioned above, the major shipping carriers each have APIs that allow sellers to calculate shipping rates on the fly during checkout based on the customer’s location and the size and weight of their order. Also as mentioned above, the carrier APIs generally pick up any surcharges that apply, but not always, so this is one of the reasons not to obsess over trying to exactly match what you as the seller wind up paying in the end for shipping. When you calculate shipping on a per order basis, your costs are generally covered; however, it leaves you little to work with from a marketing standpoint. And when it comes to online selling, there’s a lot to be said for being able to market an appealing shipping offer. So, with this all said, I’m a huge proponent of trial and error, which means, regardless of how you decide to charge for shipping, I recommend A:B testing multiple offers to see what works best for your business. You may find, as I often do with my testing, that you’re quite surprised by the results! If you’re an online seller with shipping or order fulfillment questions, give us a shout, we’d love to talk. As an online seller, how should you charge for shipping and handling? Learn what factors to consider and the different options you have as you try to answer this tough but important question. Great post. Our product is a natural testosterone booster, it doesnt weight so much, so we got free shipping in the US and a flat rate shipping of $9. On International orders. Also international orders over $100 applies for free shopping. Any inputs on this? Hi Lars, thanks for your comment! I think your policy of free international shipping on $100 orders is a good one. It encourages larger purchases, which I believe makes sense not only for your type of product, but also with international orders in general. As you mentioned, with your product being lightweight, shipping cost should be relatively low, and the larger orders should also equate to larger margins. Ultimately, the most ideal shipping offer varies a bit from seller to seller, as it’s largely dependent on the product mix, margins, and your customer base. Thanks again for your comment! We are a small family operated company called Exotic Essentials, manufacturing and selling HIJAU Aromatherapy car air fresheners, made from pre-scented essential oil blends. Our main channel has been amazon but we have recently launched our own site. We have been very transparent in our shipping in that we charge very little, just enough to cover our obvious hard costs with practically no margin. While our average order ranges between $12-16, offering free shipping is just not feasible. In that purchase range, we charge around $2.25, which seems FAR less than most other sellers are charging in the air freshener or aromatherapy categories. Regardless, we have a VERY unique niche considering we are 100% natural and pre-scented. The key is to really get customers to see the tremendous value in spending those extra few $ with us. However, not necessarily in the shipping cost… correct? I certainly understand your situation. We work with a number of sellers that have fairly low margin and cannot afford to offer free shipping. You bring up a good point about your niche. As I mentioned in the article, the level of competition and their offerings should be a factor when determining how you’ll charge for shipping, and it sounds like your shipping price is quite reasonable. That said, it’s always a good idea to test. Some consumers are in a mindset in which they refuse to pay for shipping. So you may increase product prices slightly and still find that your sales go up because you’re able to market “free shipping” and there are no surprises during the final stage of checkout. You could also implement a flat rate option. For example, “$3 flat rate shipping” is certainly reasonable, and the trick is to average your costs. And again, one of the benefits with this type of shipping offer is the marketing aspect, and ensuring that there are no surprises for your prospective buyers once they begin the checkout process. Also, regardless of the items you sell, but with low margin items especially, the greater the number of items per basket, the better. For example, if you want to test a free shipping offer, given that your current basket averages between $12-16, free shipping may apply when the basket is at least $20 or $25. In doing so, hopefully the items per order and average basket value increases, and the increased cost to you relative to order processing and shipping should be outweighed by the added margin. Hello! My husband and I are a small soap company. We are creating a wholesale website and are at a loss when it comes to setting up our shipping costs. Our soaps come in a variety of odd shapes and sizes/weights, and we know most customers will be ordering a variety of these shapes. Normally we would use a flat rate box, however the different shapes make it confusing…for example, normally we can fit 48 “Leaf Shapes” into a large USPS flate rate. We know we can fit 50 “Bones Shapes” into a large FR. However, a customer may order 12 Leafs and 36 Bones…and this combination will not fit in a large FR box. What carrier would be the easiest to use in this situation? Thank you! Hi Jenny, thank you for the comment! And that is an excellent question. You actually bring up a very valid and important point, which is that package size and weight can play a significant role in both sales and margins. In fact, shipping cost should even play a role in determining which products a retailer chooses to sell online, as well as quantities offered to retailers/wholesalers. Regarding your particular situation, as you say, there are a variety of combinations of sizes and weights, which makes it a bit tricky, and even the shipping zone can impact which carrier and ship method will be the cheapest. You also don’t want to overcomplicate things, so one option is to integrate the USPS price calculator API into your wholesale website. The API works by automatically calculating shipping costs based on the items in your customer’s cart. During setup, you confirm the box sizes you have available, which can include flat rate boxes, and the API will determine the best option and present that to your customer. Without knowing more about your products, order variations and weights, this is what I would probably recommend. Hope it helps! I do not live in the US and I’m not a US citizen. I own a jewelery manufacturing company and I’m looking to sell on ebay.com and amazon.com. My avg order size per item is around the $500 – $700 range. I’ve done alot of research and my model will be shipping from one of my factories once an order has been placed onto a fulfilment centre (TBD), from where it needs to be packed and then shipped onto my customers in the US. 1) what would be my most viable, cost effective and quickest options as it will be shipped in by DHL/Fedex. 2) what happens to the import duties/customs etc when it arrives in the US? How do I pay for it etc? Is the fulfilment centre the recipient? Hi Zee, thank you for the comment. If you’re looking to ship from your manufacturing facilities overseas, if possible, it’d be most cost effective for you to consolidate multiple orders together. Then you could deliver a bulk shipment containing multiple orders to a fulfillment center like ours, have that bulk shipment broken into individual parcels, and then shipped right back out. This type of service is commonly referred to as cross docking. One issue to consider with this is delivery speed. Consolidating shipments and then sending overseas to be cross docked will mean a slower delivery time than if you carried stock here in the U.S. Therefore, it will be important to set delivery time expectations with your customers. We actually just released an infographic showing whether U.S. consumers prefer fast or free delivery….. The good news is, if the price for shipping is right, most consumers are willing to wait for their purchases. What you’ll be missing, however, is the ability to get someone their order the next day if that is what they would prefer. I am happy to further discuss, including putting you in touch with a customs broker who can help you with the duties and taxes. Please feel free to reach out at sales@efulfillmentservice.com. Thank you! You are a world of information. Thank you. I’m starting to sell lightweight dresses on my website. The average cost per dress is $80. I’ve decided to charge a flat rate of $5 or $6 and put the remaining costs into my margin. Wanting my customer to buy more than one dress, would it seem odd to offer together: “$5 flat rate shipping” and “free shipping on orders over $150” . Is it acceptable? How could I word it properly? Thank you. Yes, it is absolutely acceptable to offer flat rate shipping for orders under a certain value, and then offer free shipping once your customers reach $150. I think it’s a great idea, as you’re able to market those offers up front, you’re charging a very reasonable price for order fulfillment and shipping on orders under $150, and you’re also encouraging and rewarding for multiple items per order, which is what you want. Good question regarding how to word it properly, as you want to make sure the offer is prominent throughout the website, including on the homepage. I would recommend doing something like you see at the top of this website…. You can also see that this offer is part of their website header so it is included at the top of every web page. I would also recommend creating a Shipping Policy page on your website, on which you can go into more details, such as delivery timeframes, tracking, where you ship from, etc. You can have one page for both your shipping and returns policies, or make them separate pages. It would also be a good idea to allow for expedited shipping. For example, your flat rate and free shipping offers would correspond with regular ground delivery, or maybe even a more economical ship option that averages 5-7 days. But if customers want or need their orders delivered faster, you also give them that option at checkout, and simply charge more. Steve, how do fulfillment companies charge for shipping? I know they get great discounted incentive rates from UPS/FedEx/Etc.. but they don’t pass on the full cost of their incentive to the customer. Why is that? What prevents a customer from just opening their own account and getting a minimum 8% or so off that the websites offer small businesses? Thanks! Thank you for your comment, and good question. You’re right, order fulfillment companies do get discounts on shipping and may not pass along the full discount to the client. The reason is that this is how fulfillment companies make a profit. An ecommerce seller could equate this to the way their business model works….they purchase inventory in bulk from a supplier at a discount, but they don’t pass along that full discount to their end customer, as they need to earn a margin. Order fulfillment companies get deals on shipping given the volume they do, just as ecommerce merchants get deals based on the volume of merchandise they buy. Order fulfillment companies do charge other fees, such as storage and pick/pack. However, the margin may be very low on those, or the fulfillment company may even break even on certain services, similar to how an ecommerce seller may break even on shipping, meaning the margin is simply the difference between their purchase price from their manufacturer and what they sell it for. Regarding your question on merchants simply opening their own account with carriers and handling the order fulfillment themselves, you’re absolutely right, they could do that. The issue is that, by outsourcing order fulfillment, the merchant would benefit in other ways, such as with speed, reliability, and expertise. By choosing the right fulfillment company, the merchant could also move to more of a variable cost model, meaning their total cost per order remains more constant and predictable, whereas handling order fulfillment in-house comes with fixed costs that remain regardless of order volume, such as rent and labor. Lastly, one of the things ecommerce sellers value most is their time, and by outsourcing fulfillment, they’re able to focus on other aspects of their business, such as marketing, product sourcing, and business development. Hope this helps! Thanks again. 1) Receive parcels from our EU and US fashion merchant partners to your EU and US warehouses. 2) Bulk ship all parcels to our Shanghai Free Trade Zone office. Please could you let me know if you can offer such services? If so, I would like to arrange a meeting to discuss the partnership. Hi Jacqueline, thank you for the comment. I will shoot you an email to provide more information on our fulfillment services. Thank you for writing this extremely helpful article. I am looking to start selling handcrafts online, I have a website set up but my last hurdle is shipping. My products range from small, heavy objects like squishy stress balls to large, light objects like artwork (unframed). I am really stuck on how to charge for shipping, although I would really like to be able to offer some sort of flate rate/free shipping over $ type offer. Thank you so much for your help! Thank you for your comment. And congrats on setting up your ecommerce handcrafts store….that’s exciting! You pose a very good question regarding how to charge for shipping with your products. 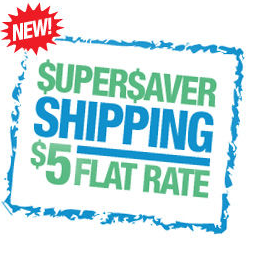 With flat rate shipping, creating that offer is all about averaging your shipping costs. As a startup, you would of course have little to no actual ship data to go off; however, you can still make some assumptions by confirming the actual weight, dimensional weight, and average ship zone, which, if you’re shipping from one location, you should average a zone 4 or 5. For example, if your average product weight is 2 lbs, and your average ship zone is a 4 or 5, then your average shipping cost should be about $8 via Priority Mail from the U.S. Postal Service (which will likely be the best ship option for lower-weight packages). I think an $8 flat rate for shipping within the U.S. is very reasonable. This, however, is just an example, and can visit the USPS, FedEx and UPS websites to confirm what your actual rates will be based on your product mix. I mentioned dimensional weight above, as that may also play a role with some of your products. UPS and FedEx changed their dimensional weight shipping rules this year, and so if the dimensional weight of the package is greater than the actual weight, you are billed at the dimensional weight. This may specifically be a factor with your artwork. You can read more about this in our Online Seller’s Guide to Dimensional Weight. The other option you mentioned is free shipping. If you were to go that route, I would recommend setting a threshold to qualify for free shipping, such as $40 or $50. This will encourage consumers to add more items to their baskets. And from an order fulfillment and shipping standpoint, the added cost you incur as a seller when adding more units to the order is generally less than the added margin you make for selling additional units, so being able to sell multiple units per order is often a big part of being successful in ecommerce. The threshold you set to qualify for free shipping should also be strategic. For example, if you are charging flat rate shipping and after a few months you analyze your data and see your average basket size is $45, then you may want to set the free shipping threshold to $50 (as long as the numbers work with your profit margins), which should make your average basket size go up. I hope this all helps. Please let me know if you have any other questions! You bring up some very good points, some which I hadn’t even thought of yet. Thank you for your insight! With this information, I think an $8 flat rate will be the best way to go. Like you said, it will help discourage very small orders, but will cover what I perceive will be an average order. Shipping art was something I hadn’t really though through yet, but researching it a little now, most of the prints are small enough to make the flate rate work. There are only a few where the shipping cost would exceed the $8, but not by very much. I might wait on the free shipping or save it for a special offer for now, until I know more what my actual margin will be. Do you suggest offering international shipping at a flat rate? Or is there a better option? Thanks, Desiree, glad I could help out! Regarding flat rate international shipping, yes, as with the U.S. shipments, offering flat rates is a nice option if you can make it work. There are a couple of additional challenges on the international side, one being that there is typically a larger discrepancy between rates. For example, depending on your ship method, the ship cost for a 2 lb. package may vary $10 or more based on where you’re shipping to. Ultimately it’s the same as on the U.S. side…it’s about averaging costs…but the sweet spot may be a little more difficult to find. The other thing to consider is where your international customers are located. For instance, will you be selling to foreign consumers around the world, or starting with a particular market or two, such as Canada and the UK, as this will also have an impact on your shipping costs and where that sweet spot may be. Thanks, Steve! That really helps! Right now I sell on ebay and I’m getting ready to move over to 3dcart. My average order is about $27-$30. You’re right, 3dcart does offer nice flexibility when it comes to how you charge for order fulfillment and shipping. If you’re looking to offer free shipping, there are a couple of things you can do. The first thing is to determine the order value threshold to receive free shipping. For example, you may decide to only offer free shipping when the customer order is greater than $40. This incentivizes larger purchases from your customers, and, generally speaking, it makes free shipping more viable for the seller given that the added margin with those larger orders typically outweighs the added order fulfillment and shipping expense. The other thing you can do is to look at alternative shipping options. For example, when shipping heavier orders….especially if they’re going to a higher shipping zone….USPS may not be the most cost-effective option. It is nice to give your customers different options, so what many sellers do is use a more economical ship method as their “free shipping” option (i.e. FedEx SmartPost), and at the same time, also present the customer with faster shipping options in case they need their order more quickly (which comes with a surcharge). It can get somewhat complicated when you have multiple ship options, which is why, here at eFulfillment Service, we offer our clients a rate shop option to make it very easy for them. They can submit their order to us with one ship code, and we will then pack the order, confirm the actual weight, the dimensional weight, and the shipping zone, and we will then evaluate all of the available ship options and automatically bill our clients at the lowest-available rate. Lastly, you had mentioned that you lost some on shipping the larger order to California. My guess is that the shipping rate presented to the customer was not correct as a result of dimensional weight. This basically means that your customer was billed based on the actual weight, and you were billed by USPS based on the dimensional weight (which was greater than the actual weight). DIM weight can be somewhat difficult to account for when using live carrier rates on your website, and each shopping cart / marketplace calculates DIM weight a bit differently. With 3dcart, you should be able to put in either your product and/or package dimensions. It is not a perfect science, but it does help to mitigate potential shipping losses. You may find this guide handy: Online Seller’s Guide to Dimensional Weight. You just saved my life! Thank you! This post is so valuable. Hello, we sell healthy snack bars…kind of like a cliff bar or power bar. We are also trying to figure out the best way to charge shipping on our site. Flat rate will not work because of the weight, and some people order multiple cases which can weigh over 25 lbs while others buy just a box which weighs 1 lb. I was thinking we could do something like this: Orders $1-$99, $6 shipping….$100-$199, $12 shipping……$200-$299, $18 shipping, and so on. Thoughts on this method? Thanks for the comment. You bring up a good point regarding the order weights, which is an issue many sellers contend with. The solution you proposed sounds viable, and coming up with flat rate shipping amounts based on order value is often the solution I recommend to sellers in similar circumstances. Given that the order fulfillment and shipping expenses associated with multi-unit sales is generally outweighed by the additional margin, this should play a role in your shipping offers, including when you may be able to get away with free shipping. Thank you for your comment! You bring up some good points. The shipping expense that online sellers pay is often based on the weight of the order. So, if you could, it would be helpful to try to confirm the weight of the products from your Chinese supplier(s). You can always adjust the shipping rate that you charge to your customers, and I would recommend analyzing your order fulfillment and shipping expenses on an ongoing basis. However, when you are starting out, you do not have sales data, so it’s important to estimate your shipping costs, and to do so, you will need to confirm the weight of your products. The point of my article is that multi-unit sales are often the name of the game with ecommerce selling, and there are ways to incentivize customers to order more products, including free or reduced shipping costs. And if you offer a flat rate option, the goal with that is to try to break even, meaning sometimes you may lose a little on the shipping, and sometimes you make a little, and the flat rate amount should be based, at least partially, on your order fulfillment and shipping expense data. My husband and I are getting ready to start an ecommerce business in addition to our manufacturing business. We handcraft toboggans, snowshoes, sleds, folding chairs, deck chairs, small tables, large bookshelves, lamps and other items made from wood. We are so confused as to what kind of shipping costs to pass on to our customers as you can imagine the cost to ship a wooden 8ft. toboggan to Maine. We are based in MN and we are a very small company so we can’t afford to absorb a whole lot of shipping costs. The website plan we are using is just a basic one so we don’t have the option of a real time calculator. What advice can you give us? Thank you so much for any help you can send our way! Thank you for your comment. You pose a great question here! When it comes to order fulfillment and shipping for large items like a toboggan, rather than using a home delivery service, such as FedEx Home Delivery, you will often find that it’s more cost-effective to use a freight company. There are a wide range of freight providers and freight forwarders out there. One that we commonly use is Echo Logistics. The reason for the cost savings with freight companies is that they’re well-suited for larger merchandise, and you’re also typically eliminating the final mile of delivery, for which there is generally a big surcharge, especially when shipping large items like you mentioned. What this means, of course, is that, in order to pay a reduced shipping rate, your customers may have to go pick up their order from a hub. One of the challenges with shipping freight is that it is often quoted on a per order basis. However, when shopping online, consumers will want to see the shipping charges. I have seen some companies provide “example” shipping costs based on quotes they’ve received to various cities across the U.S. However, my recommendation, especially if your shopping cart doesn’t provide the ability to serve different shipping rates based on the consumer’s location, would be to offer a flat rate shipping option, which hopefully can be assigned in your cart on a per product basis. To make this viable, you would average your shipping costs, meaning that, in some cases, you may lose a bit of money if it’s shipping a greater distance than normal, and, in other cases, you should make a bit of money on the shipping. If you’re shipping freight, the other challenge you’ll have is that you’ll need to communicate to your customers that they’ll need to pick up their toboggan at a hub, and convey where that is. Some shopping carts offer features and add-ons that make this easier than others. Shipping to a warehouse is cheaper, and this is why you’ll find that the larger retailers, which have retail locations and distribution points scattered throughout the country, often offer a lower shipping rate when customers pick up in store. Ultimately, as an ecommerce seller, shipping large items like this can be challenging, as the shipping cost will inevitably be high. However, given that you manufacture the products yourselves, I am guessing they are high-quality items, ones that consumers cannot find elsewhere. That is a big advantage for your company and certainly something I would promote throughout the website. If consumers can’t find the product elsewhere, they’re generally willing to pay a higher price. I hope this helps. Please let me know if you have other questions! Steve, thank you so much for your sound advice. We have thought of just having a Flat Rate shipping and incorporating some of the cost of shipping into the product price but my fear is if someone buys more than one sled or chair, etc. and the shipping would still be a Flat Rate and we would have to absorb two-thirds of the shipping cost for that second item. We never really planned on being a retail company, just a manufacturer but we still needed a website and we figured we might as well try to sell some of our more “shippable” products on our site. We are finding out the hard way how difficult ecommerce can be when you have larger items and the cost to ship them is so high. I guess we will just have to experiment to see what our customers will pay for shipping but as of today, I think we will be absorbing at least half of the shipping costs. Is it better to have “a bird in the hand than two in the bush”? Thank you again….what a blessing it is to be able to get free sound advice. It is a wonderful thing you are doing! Greetings! I’m from Jamaica I’ve set up an online store using Shopify, and I’m currently using Printful to print and ship my order. I’m at a loss when it comes to setting a flat rate for shipping overseas. I did tons of reading and still I’m at a loss. My store consists of t-shirts and Tote bag. Do you have any suggestions on a flat rate I could use so that I don’t over charge or under charge my customers? Thank you for the comment. You pose a great question here regarding international order fulfillment and shipping. When online sellers make the leap into selling their products internationally, it is common for them to do so slowly, and in stages. For example, I would recommend targeting one or two international markets to begin with. By doing so, you become accustomed to the process, requirements, and costs of international shipping, which do vary by country. Additionally, you will become familiar with the level of service associated with different ship methods from various shipping carriers, you’ll become accustomed to the customs documentation, and you’ll get a good handle on the duties and taxes associated with different product types, order values, and destination countries. Flat rate shipping is certainly a nice thing to offer, as it allows you to market that throughout your website and make sure there are no unwanted surprises during the checkout process. However, confirming the ideal flat rate shipping offer becomes a bit more complicated when shipping across the border, especially if your goal is to work in duties and taxes into that flat rate offer. My recommendation would be to identify the primary shipping carrier and shipping method(s) you would like to use for your international orders, and then identify the duties and taxes associated with your product and the international markets you’re targeting. Rather than having the duties and taxes be a part of that flat rate offer, I would suggest offering a flat rate on only the shipping cost (and that flat rate can vary by country). As your customers are checking out, you should clearly state that duties and taxes will apply. In some cases, sellers have parcels delivered duties unpaid (DDU), meaning the customer owes the duties when the package arrives (again, this should be verified to the customer as they check out on your website). In other cases, sellers will identify the estimated duties and clearance fees based on the product type and destination country, and charge their customers at check out, meaning the parcels are delivered duties paid (DDP). Thanks for writing this article, it’s been very helpful so far! My company is a small shoe reseller based in Canada (Vancouver Island). We do about 45% of our business online via our website, and ship within Canada, to the United States, and various countries overseas. Currently we offer free shipping on orders over $49 within Canada, with flat rates to the United States. We know we are losing money on shipping costs, and are trying to find the best means to remedy our situation without losing customers from a significant increase to their shipping costs, or a hefty increase to the minimum purchase price that qualifies for the free shipping. We are based on an island, which in itself increases our shipping costs due to the necessity of ferry fee’s on top of our regular shipping fees. Are you able to offer any suggestions or perhaps point us in the right direction of finding a way to reduce our shipping costs without taking a significant loss to our customer base? We aren’t specifically interested in profiting off of shipping…we are more interested in moving towards a break-even point where both ourselves and our customers are at a happy medium. Thank you for your inquiry. I certainly understand where you’re coming from, and the challenges you’re facing when it comes to how much to charge for shipping. Regarding your $49 threshold to qualify for free shipping within Canada, I’m wondering about your average product cost and average order value. For example, if one pair of shoes averages more than $49, then, in most cases, your customers are going to qualify for free shipping even when they order one pair of shoes. For some online sellers, they can get away with free shipping for just one unit. In your case, however, it sounds like the free shipping threshold should be set to a dollar value that encourages multi-unit sales, and the reason being that your total profit margin on a multi-unit sale should increase more than the added order fulfillment and shipping expense on a multi-unit sale. Said another way, when you sell more than one unit in an order, the profit you make from those additional units should outweigh the added expense associated with shipping those additional units. So by having a free shipping threshold that is more than the average cost of one unit, it encourages multi-unit sales. Now, it may be the case that the average cost of one pair of shoes is less than $49, meaning that you’re already encouraging multi-unit sales with your free shipping offer. If that’s the case, another option is to look at outsourcing your order fulfillment. That way, you’ll be shipping from a fulfillment company that is closer to your customers, and will thus reduce your shipping cost. Please let me know if you have any other questions on different ways to charge for shipping. And if you’d like to learn more about our order fulfillment services, please feel free to request a quote! I am working right now on launching a Square Online store for the store that I work at. We use Square POS at the store for sales currently. Online we are planning to put for sale the shirts that our owner has designed and printed. Price range is $22-$55. Due to the fact that we have not sold online before we have no basis for average purchase price on the shirts. Square online only offers shipping rates of either free or flat rate. I am unsure as to what amount to charge for flat rate because we have not shipped before. We are expecting our customers to primarily be in the U.S. Any suggestions as to what to charge for flat rate shipping? Our margin is not enough to offer free shipping. You have a very good question here. If you’re looking to break even on your shipping, how much you charge will be dependent on the average order size and weight. For instance, if your average order is only 1.5 units, given that shirts are lightweight, you may be able to get away with $5 or $6 as your flat rate offer. Ultimately, there will be instances in which the flat rate you capture from your customers doesn’t completely cover your shipping expense, but there should also be cases in which you capture a bit more than your expense, meaning it evens out. That is typically the goal of flat rate shipping….to have it basically equal your average shipping expense. If you have large orders, however, your expense may be higher than what I would recommend as a flat rate for shipping. For instance, if your average shipping expense is $10, that is fairly high as a flat rate shipping offer. I typically recommend between $4-$8 for flat rate shipping. Therefore, in this case, you may be better off adding a bit to the product price to stay in that $4-$8 range, as consumers do have a certain mindset relative to how much they’re willing to pay for shipping. It’s also important to keep in mind that the added shipping expense is typically less than the added margin when more units are added to the order. Therefore, your goal may be to cover 100% of the shipping expense when one unit is ordered, but you may be okay with covering just 80% of the shipping expense when two units are ordered, as the total per unit margin remains the same in that case. It’s great that an article you posted years ago still has life! Obviously, it’s an important subject to cover! I design and make all my own high-end lighting products. I have had a brick and mortar store, Shades of Soho, for 14 years. I always wanted to sell online but because of freight charges, as well as my items are made to order, I never followed through. Recently I came up with a design that is easier for me to make so I can stock them and I would like to sell it online through Etsy and an Amazon Store. So, freight! My items would sell between $325-$500. I would prefer not to pack them myself but I think it is most economical. The lamp will be heavy (marble and crystal) and have a hand sewn fabric lampshade. So it’s heavy and will have dimensional weight. From what I read, I should pack the shade in a separate box and remove the harp from the lamp to save space. to keep things easier I would like to offer Free Freight but obviously add the freight to my cost. I want to just break even on freight and make profit on my actual product. I have no idea how many I will sell and to where I will ship to. Should I make them, pack them, and then pick three or four points across the country and average the costs? Also, it sounds like FedEx Ground might be the best but it is so confusing on figuring out what service I should choose. The lamps are very, very cool and have lots of bling. I know the designs will attract peoples attention, as it has done very well in my store…but how to sell an expensive item online and not add too much more to it because of freight has been my challenge. Thanks in advance for your time! Much appreciated!! Thanks for reaching out here. I have had a chance to browse through your website, and you do indeed have some great-looking lamps, chandeliers, and other products! To find the optimal ecommerce offer for your products, and to confirm how much you should charge for shipping (if anything), it is beneficial to do some testing. As you said, a good starting point would be to confirm the dimensions of the box size(s) that you’ll be using when shipping your lamps, and then determining the shipping costs to a few different locations across the country, including one that is near you (shipping zone 1 or 2), and one that is as far away as you can get within the contiguous U.S. (shipping zone 8). When shipping to Alaska or Hawaii, it is not uncommon to charge more for that, or even to not allow orders to be shipped to those two states. As part of your research, I would recommend verifying the shipping costs with multiple carriers, including FedEx, UPS, as well as the U.S. Postal Service. Because the dimensional weight rules vary by carrier, you may find that it is more cost-effective to ship via USPS in certain situations, such as to customers located closer to your distribution point. When shipping to customers further away, FedEx or UPS may be more cost-effective. And if you’re planning to handle your own picking, packing and shipping, I would recommend that you check out ShipStation and other systems like it, which are able to rate shop between the available shipping carriers with each order, ultimately making things a lot easier and more profitable with your order fulfillment. Once you’ve settled on what you believe is the right average shipping cost, if you’re planning to offer free shipping, you can, as you mentioned, add a portion or all of that average cost to your product price. At that point, it would be time to test the offer on the channels you’re selling through, and monitor the results, including the actual shipping costs you’re paying. This will be important because you may find that you’re getting more orders in a certain region of the country, which means the average shipping cost you initially settled on may be too high or too low if the goal is to break even. With a high-end product like yours, and especially when it is difficult to find that high-end product elsewhere (which sounds to be the case, as you make them yourself), you typically have a bit more flexibility relative to how much you charge for shipping. It is also true, however, that many consumers may not tolerate an additional shipping expense when they’re paying that amount of money for the product, so I believe your plan to add the shipping expense to the price of the product is a good starting point, and, from there, you can monitor results and tweak the offer, if needed. Need some help, a fews frineds and family members are in the process of setting up a very small online craft store, selling handmade jewelry, bags, tshirts, body products etc.. We have everything on the website set up, except SHIPPING COSTS! lol, we want to make it transparent to the customers and affordable. We sell products cheap, anywhere from $5 to $20 plus.. and we are not sure if we should offer a flat rate? Something that won’t make us go broke but at the same time not so expensive that the buyer abandons cart. Help! hahahaha..
Hello! Thank you for the comment and question. You have set a couple of great goals for your ecommerce website, which is to make your shipping offer both transparent and affordable. Relative to how much to charge for shipping for the types of products that you mentioned, what’s nice about those is that they’re lightweight, and, generally speaking, the lower the package weight, the lower your shipping costs. What’s also nice is that many of your packages will likely qualify for First Class Package Service from the U.S. Postal Service. For packages weighing less than one pound (453 grams), they’re eligible to ship via First Class. This is a great service as it not only includes full tracking with reasonable transit times, you also don’t have to deal with zones, meaning a 10 oz. package will ship anywhere in the U.S. for the same rate, making it easier to implement a flat rate shipping offer on your website. I generally recommend not going over about $5 or $6 for your flat rate offer, and the reason is that consumers have a mindset about what they’re willing to pay for shipping, especially for lower-priced goods. Therefore, if you find the average shipping rate your ecommerce business pays is $7 but you want to offer $6 flat rate shipping to your customers, you may consider making up that $1 with price of the product. Lastly, I’d recommend coupling your flat rate offer with a free shipping offer once your customers’ baskets reach a certain value, such as $25 or $35. If the threshold is set at the right amount, it will lead to many customers adding more products to their basket to qualify for free shipping, and it should increase your overall profitability as the added margin you make from those additional products should be greater than the added shipping expense. We live in a small town and I am on our Bicentennial Committee. We have a lot of fundraising merchandise for sale and have a storefront where people can shop. Since we have started to provide more information about the merchandise, advertise it on our website and on Facebook, the merchandise is receiving a lot of exposure. We are even getting people who lived here that now live out of town, would like us to ship them the merchandise. We are happy to do that, but are wanting to be sure to not upset anyone. Use the right verbiage, etc. We’re a non-profit organization, volunteering. We are raising money for the event next year. We recently mentioned mailing out a package to someone and if they could include shipping, once the check was received, we would mail the package. We had one person make a complaint, but not really say anything other than “Ouch”. I’m not entirely sure how to interpret that either. We can’t afford to ship at no cost, and all of our work so far has been done with out sponsors. We’ve really been working hard to make this a successful event. What are your thoughts on the shipping and handling, and is it wrong to have them mail the check to us first before mailing out the package? Your advice would be so appreciated! We just want everyone to be happy. Thank you for reaching out! You have some great questions here. In general, I think it is fine to require payment up front before you ship a package to your customer. Part of the pushback you’ll receive, however, won’t be related to getting the payment up front, but rather the actual mailing of the check. Most online buyers are accustomed to paying for the product and shipping online, which makes it much more convenient. I realize that, as a non-profit, it may not be cost feasible to set up a brand new ecommerce website. However, that may not have to be the case. For instance, you could likely incorporate a payment gateway like PayPal right into your existing website to allow you to collect money for the product and for shipping at the time the purchase is made. There are also very inexpensive ecommerce options out there, such as WooCommerce, that will give you more flexibility with how you charge for shipping, and also provide your users with a more traditional ecommerce shopping experience. As for how much to charge your customers for shipping, I find that a flat rate option is often best. If you sell a variety of products, it makes a flat rate shipping option a bit more complex, as it’s more likely that you’ll lose a bit of money on the shipping in some cases, but it usually just requires a bit of analysis of your shipping history to come up with an appropriate flat rate shipping charge, such as $5, $6 or $7. With flat rate shipping, the goal is typically to break even, meaning that in some cases you make a bit on the shipping (such as a small order from someone that lives close to your shipping location), and in some cases you’ll lose a little, such as a larger order from someone far away. Thanks for this great article. I´m setting up a Shopify store I ´ll dropship from Printful, and 3 more different suppliers. How do you suggest to set shipping rates in this case? Thanks for reaching out here. That’s a great question! Given that your orders will be filled from four different suppliers, it does make it a bit more difficult to determine how to charge for shipping. In your case, if you do not already have a good amount of sales history built up, I would do an analysis of the rates you’re getting from these different suppliers and then put together your best estimation of how much you’ll pay in shipping per order. You may then decide to add some of that shipping cost to the product price to reduce the cost of shipping presented to your customers, which has proven to increase conversion rates. Once you’ve settled on your initial offer, I would then monitor your order history and actual shipping costs over time, and tweak as necessary. For instance, you may base your initial offer on an estimation that you’ll average 1.5 units per order. Three months after launching, you may determine that you’re actually averaging 2.5 units per order, and you may need to adjust the shipping charge a bit to recoup more of that from your customers. Then again, because the added margin you gain from selling an additional unit typically outweighs the added cost of fulfilling and shipping that additional unit, you may determine that, even though you’re selling more units per order than expected, you do not need to charge more for shipping. In fact, you may decide to add an incentive to try to get customers to add one more unit. For example, if the average amount your customers pay is $45, then you could add a free shipping offer once they reach $50, and that should have the effect of increasing your average order size. Hope this helps. If you have any other questions, please don’t hesitate to reach out! I work for a large bakery in Canada that also sells our breads online. Because we ship products that have a quicker expiration date than most other food products, we must have the products to our customers within 3 days. This also means that our shipping costs are higher since we cannot go with a standard shipping time. We currently get a lot of complaints from our customers since their shipping costs are usually the same price of their order and sometimes more, which is ridiculous, averaging around $30 or more just to ship. I am considering using a tiered or flate rate shipping approach based on location. Thanks for your comment. As you mention, you do have an interesting situation here that requires you to think strategically about how much to charge for shipping of your products. Without knowing more details, in general, I do really like the idea of a flat rate shipping. You had mentioned that it’s based on location. I’m not sure if you mean by postal code, by province, or some other means, and the only thing I can mention is to try to keep it as simple and easy to understand as you can. After all, one of the nicest things about flat rate shipping is that you can advertise it throughout your website, so if that flat rate offer gets too convoluted, it may make it more difficult to do so. This article discusses one of the keys to success with ecommerce, which is increasing the average number of units per sale. As you’ll read in the article, by increasing your units per sale, your total margin increases more than your expenses, which includes shipping expenses. Currently, it sounds like your average sale is around $30, which, as you pointed out, is also the cost of the shipping. If you’re able to increase your average sale to, say $50, I think you’d find your average shipping cost would only go up marginally and, as a result, you’d receive fewer complaints as the product price to shipping cost ratio has been reduced. Increasing your average order value is easier said than done, and it does take time and testing of different offers. Therefore, in the short-term, one thing you may try is to simply increase the cost of the products a bit, and reduce the cost of shipping. For example, rather than $30 shipping for $30 worth of product, you may make it so that it’s $20 shipping for the same amount of product, but now that product costs $40. The reason for this is, as you’re experiencing, consumers have a mindset that they do not want to pay as much for shipping as they do for the actual merchandise. Thank you so much for your advice! Will definitely check out your article. Hi, I’m hoping this is still active. I’m located in Winnipeg, Manitoba, Canada and I have very recently created my own website and was wondering about shipping. My company is an online art gallery offering original art work from various art mediums such as paintings, cement art (bird baths, small fireplaces, flower pots, stepping stones, etc), stained glass, photography and more variations of art works, as well as prints on various materials using drop ship (tops, leggings, dresses, long list) and also offer other artists located in Manitoba an avenue for their original art work, and because of these various products and services I’m at a lost for shipping prices. I do not have a brick & mortar so the artists will be shipping their own art work to the consumer and I will be shipping my own art. I have read all the previous comments and still at a lost because of the various weights and services. I would also like to offer artists under the company to have free shipping to the consumer as I take 20% commission, and unsure if this is a good idea. I have setup an account with UPS to provide them this services. With regard to #1, while I can’t say for sure, based on the description of your products, they seem fairly large and/or heavy. Therefore, your shipping costs may be fairly high compared to many other ecommerce sellers. As a first step, I would work to confirm your shipping costs with UPS and FedEx, and it sounds like you’re working on that. With regard to #2, let’s say you find that your average shipping cost is, say, $20. The question then becomes…if you offer free shipping, do you have enough margin in the products to absorb that $20? If not, and if your goal is to still offer free shipping, then you may need to come up with an alternative approach, such as free shipping with a minimum. For instance, if your average customer spends $80 with you, then you may have an offer that states….”Free shipping on all orders over $100.” The strategy behind this approach is to get the average customer to add at least one more item to the basket. The reason this often works is that the added product margin typically outweighs the added shipping cost of that additional item. With regard to #3, the reason I bring up the competition is because it’s important to know what they’re doing. If you don’t have any competitors offering free shipping, while it may still be a good idea to do so, it may not be as important. Or, if you find that some competitors are offering free shipping but they’re pricing their products for 10% more than you were planning on doing, then it may be a good idea to increase your product prices to be able to offer free shipping. The reason I say this is that studies have shown that many people won’t purchase from you if you don’t offer free shipping….especially if they’re paying a lot for the product….which means many sellers are better off raising their product prices a bit to be able to offer free shipping. Hi there! This post was so helpful for me. I am in the process of setting up an shop option on my blog. I plan to sell vintage items that range from smaller rugs, vintage cutting boards, and more delicate glass items. This is going to be a brand new business for me and I’ve never sold anything online before. I’m struggling to know how much I should charge for shipping. I am just getting started in this business, so I didn’t want to pay for the USPS or UPS options on the woocommerce app. $79 each which give you shipping rates for domestic and international sales. I would like to turn a profit before I start putting money towards it. Because of the range of products, I don’t know if a flat rate is the best option and I’m also struggling, because free shipping is a huge incentive for me when I’m shopping, but I want to keep my prices reasonable. If you could give me any advice, I would greatly appreciate it! The question of how much to charge for shipping is an important one. And, as it relates to this, you bring up a good point with the range of products, as having products that vary significantly in terms of size and weight can make flat rate shipping more difficult. Also, as it relates to some of the items you mentioned, such as rugs, the shipping price can be relatively high for those. The other challenge you have is that it sounds like some of the merchandise you’re selling and shipping will be of higher value, and, as consumers pay more for products, they tend to expect free shipping. As you alluded to with your own online shopping, many consumers seek out free shipping, which is why one strategy for some ecommerce sellers is to set the product price to the point that they’re able to offer free shipping and still get the margin they want or need. For instance, let’s say you’re selling a rug for which your wholesale price is $50, and you’re planning on selling it for $100. Currently, without any additional costs of goods sold, that means your margin would be $50. Because of the size of the rug, let’s say it costs you $30 to ship it, on average. If you offered free shipping, your margin is now down to $20. Your target margin, however, is $30 for this product. So, in this case, you may decide to instead set the retail value to $110 and offer free shipping to allow you to reach that margin. This is only one of several strategies, but I bring it up here because you may find it to be a viable one with some of your products. For others, those that are smaller and less expensive to ship, perhaps there’s already enough margin built into the product or perhaps you tackle these with a free shipping minimum. For example, if your customers get free shipping if they’ve spent at least $35, that may allow you to receive the margin you want for those lower-priced goods (as you’re trying to get the customer to purchase more than one product and the added margin of that additional product will hopefully outweigh the added cost to ship it). Then, for the higher-priced goods, you may couple the free shipping minimum with the strategy outlined above (raising the retail price a bit). Ultimately, it largely comes down to options that the consumer has, meaning what is your competition offering. If you have vintage products with very little competition for those particular items, then it may be more about your marketing strategy as opposed to your shipping offer strategy.